If you live in one of our parishes we would be very keen to consider the possibility of a baptism (sometimes called 'christening') service for your child. Baptism marks out those who belong to the community of God’s people (the church) because of their faith in Jesus Christ. It therefore entails certain beliefs on behalf of at least one of the child’s parents together with a promise to regularly attend one of our churches with their child. We find that some who inquire about baptism do not fully appreciate this. We also therefore offer a thanksgiving service for parents who, after consideration, find that they cannot with integrity make such commitments. Do phone Nick (01825 769004) who will chat the next stage through with you and send you a booklet to help you consider these things further. Your wedding day is one of the most special days of your life and we try to make the ceremony as memorable as we can for all couples married at either of our churches. 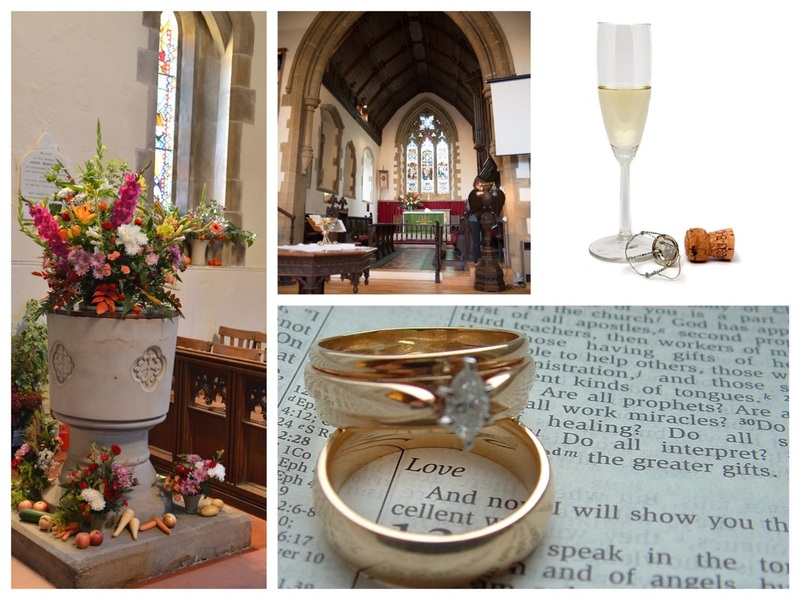 We have welcomed couples holding receptions from all over the Ashdown Forest ranging from our villages of Maresfield, Nutley and surrounding towns and villages like Buxted, Uckfield, Crowborough or further afield. There are all sorts of rules surrounding eligibility to be married in the parishes and you must have a meeting with one of the clergy to check if you might be eligible - some detail on the rules are available here. Please phone Nick (01825 769004) who will chat the next stage through with you and send you a booklet to help you consider things further. (Please ensure that you do not book your reception or honeymoon until you have first agreed a date with Nick). We should add, that in order to stress Jesus’ teaching that marriage should be lifelong, we do not usually marry those who are divorced and whose previous partner is still alive. However we do want to reflect God's welcome to all, and his readiness to forgive and heal the past when we come to him in faith. Therefore, depending on your circumstances, we may be able to hold a wedding or a service of Prayer and Dedication after a civil ceremony, if you are willing to seek God's support through regularly attending one of our churches. Again, do call Nick who will meet up with you to discuss these things further. We are sorry that you are in need of a funeral service. These should initially be organised through a Funeral Director, who will then contact us if you live in one of our parishes.